For over 50 years The Salesman’s Guides have been the premier source of valuable information on the dynamic world of retailing. 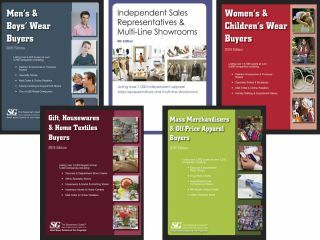 Covering multiple segments of the industry these guides together provide over 24,000 contacts at more than 10,000 retailers, ranging from national chains to your shop around the corner. Within each of these directories you will find valuable company information such as address, sales volume, business type, geographic areas served, price points, and the key contacts at these companies.